OOPS! This Grandview at Crestwood condo for sale has already been SOLD, but there are more! Contact us today for a current list of condos for sale. Great income producing property in Grand View at Crestwood in Royal Palm Beach! 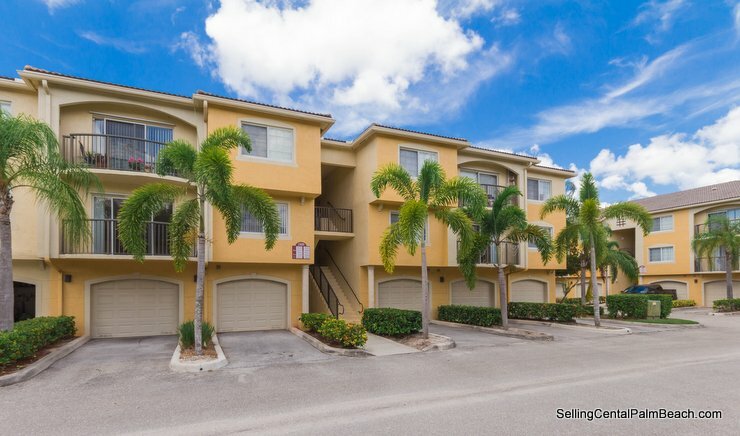 This desirable second-floor condo features 2 Bedrooms, 2 Bathrooms and a 1 Car Garage. The oversized living room offers sliding glass doors that lead out to a covered balcony, which overlooks a private preserve and serene lake. The kitchen features white cabinetry, granite counter tops, a large pantry and breakfast bar. There are two master suites, each with a private bathroom and walk-in closet. Other features include a full-size washer and dryer, an attached one car garage and volume ceilings. Grand View at Crestwood is centrally located in Royal Palm Beach Florida and offers great community amenities, which includes a clubhouse, fitness center, two swimming pools, two tot lots, a tennis court and basketball court. The current monthly dues are $296.17 a month and includes water, basic cable, access to the amenities, gated entry, on-site property manager and more. Shopping, dining, entertainment and great schools are also just seconds away.